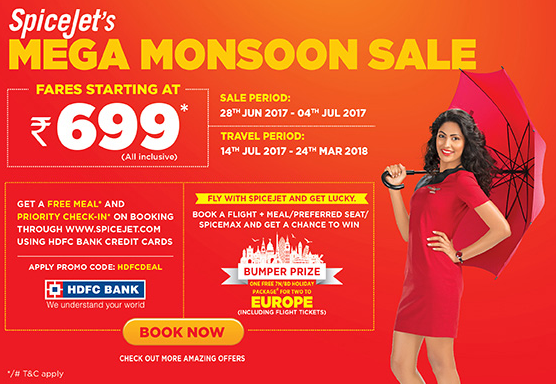 Home / asia / deals / sale / tips / Spicejet Mega Monsoon Sale- Roundtrip fares 2k onwards! Spicejet Mega Monsoon Sale- Roundtrip fares 2k onwards! I do look forward to Spicejet sale for some really cool discounts. Spicejet website has announced a mega monsoon sale, starting today (June 28th) till 4th July. -Though sale is on for travel dates 14th July onwards, probability of finding low fare is high only for late 2017/early 2018 dates. For July-October period no tempting discounts. 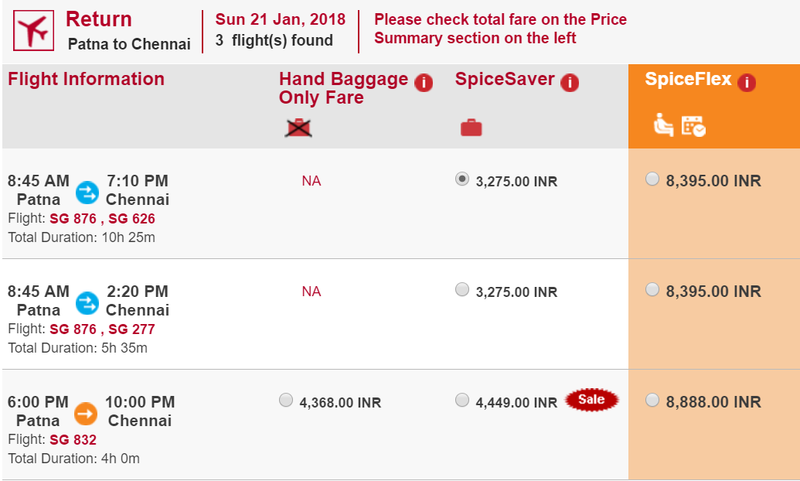 Below is some of the fares I could see on Spicejet's current sale. Because I am based in Chennai I have checked Ex-Chennai fares. Do check for your city. The current sale prices are not the lowest I have seen. But then, the lowest fares I had seen was when the airline was trying to recover from its bad times. Now they are fully profitable, have very good load factor. So it is very unlikely that they will reduce fares much lower. If you have decided to travel and if dates are suitable and fare is reasonable, book. 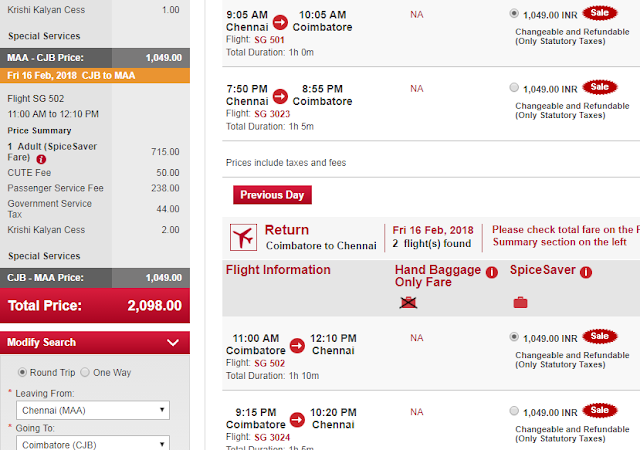 Should you book on this Spicejet Mega Monsoon sale? My recommendation: Yes, provided you have a reasonably high certainty of not ending up cancelling the trip, date n time is convenient and you had some serious plans of visiting the destination. Best wishes. Do comment below if you book a ticket after seeing this post, or have any comments.. Meanwhile, let us take this opportunity to congratulate Spicejet for their amazing recovery from a near collapse. Spicejet had maximum appreciation of share prices in 2016 among all airlines in the world (124%- read news here) and was mentioned by US President Trumph for their mega order of aircrafts from American manufacturer, Boeing. [news]. Top Aviation News this week! Indigo sale on! A spicejet copycat?